On August 30, at 6 p.m., the Forrest General Healthcare Foundation officially announced the winner of Win This Car, which was a raffle to benefit Let’s Connect, Forrest General Healthcare Foundation’s latest project. The announcement was made following a live drawing at Toyota of Hattiesburg. Dee Rasberry picked up the keys to her brand new 2018 Toyota Rav4 Limited this morning. “Getting that phone call was the most exciting thing that’s happened to me. I’ve never won anything this big or won very much of anything! I had heard of the Foundation and the good work they do so I knew when I entered that this is a great charity,” said Rasberry. All proceeds from the raffle benefit Let’s Connect. The Let’s Connect fundraising initiative includes replacing the guest network with new and improved Wi-Fi, hotspots and charging stations throughout all Forrest Health locations. This will allow our patients and their families to contact each other easily, and check their e-mails or perform other office work. An internet café will be added to Forrester’s Cafeteria, expanding the hospital’s internet access. As another part of the Let’s Connect campaign, new outdoor areas and walking spaces will be created to allow patients, their families and Forrest General employees a chance to relax, refresh and enjoy each other’s company close to the hospital’s campus. “I feel incredibly humbled by the overwhelming generosity of our community and Forrest General’s employees. We were able to reach a new record this year, which put us even closer to reaching our goal with Let’s Connect. We feel incredibly passionate about this initiative, and we’re glad to see the Hattiesburg community supporting it, as well,” said Martha Dearman, executive director of the Forrest General Healthcare Foundation. 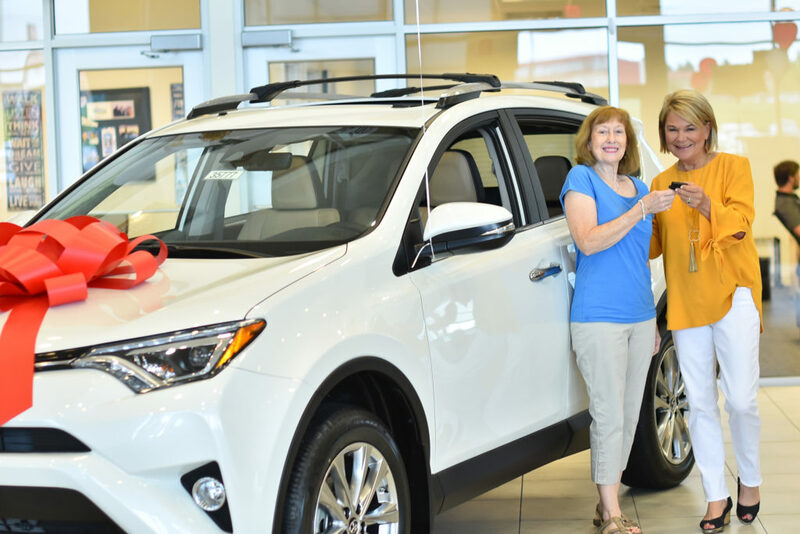 CAPTION: Dee Rasberry, left, accepting the keys to her new car from Martha Dearman, executive director, Forrest General Healthcare Foundation.